'All and Nothing' by Raksha Bharadia begins with an interesting premise- almost as interesting a setting as Anita Nair's Ladies Coupe. Tina, caught in a turmoil in her life sends letters to a bunch of her friends- all caught in crucial and complex situations in their respective lives as well. She invites them, in her letter, to a weekend's meet at her Mahabaleshwar holiday home. Not revealing details in the letter, she promises all will be clear when they arrive.The story unfolds in parallel narratives tracing the lives of all the people who are to meet that fateful day. Here is where the book fails to catapult itself on to a higher level! The descriptions are overtly simple, the prose is predictable and the emotions- both of the character and what it stirs in the reader are at best momentary. The plot by itself could have been so much more layered and delectable, dialogues could have been more realistic and one wishes the style were more original and unique! Where Raksha actually wins, is the fact that her writing evokes an anticipation in the reader. One only wishes that she capitalized on it and made her book more evocative. But she makes the story too hurried, too racy. There is nothing remarkable about it, despite its dramatic blurb. There are few parts that stand out as visual and engrossing like Antara's seduction and the Manas-Gayathri love story. These are the more fleshed out parts that actually engage the reader. Somewhere the blurb is what is to blamed. It promises an interesting tale of a lot of lives entwined as one, in its grief and bitterness. A good book keeps the promissory note it writes on its blurb to the reader and infact takes them on various experiential planes. A good book, in its words, reveals and conceals, plays with the mind and leaves the reader with an experience over its pages. It goes as much as to making them dive into what it holds between the covers and forget the real space around them. Ladies Coupe was one such book. Maybe in my hasty correlation I expected too much out of All and Nothing! Maybe... But even otherwise, the story follows a very narrow structure of 'beginning-middle-happy end' too closely to let us meander on other emotions. Throughout the book, the characters hastily jump from one emotion to another. Things happen too fast. The transition state is barely present. And transitions are what make a reader to fall in love with a book. It is in these intermediates that reality gets reflected. How often do we decide one day that we will be single all our life and suddenly, in the very next second, decide we want to get married? And even if we actually do, when conveyed in a written form, the shift requires an authenticity for a reader to believe its abruptness. This is where the book disappoints. Although the author does manage to engross the reader enough to want to read till the end, the book does not offer a deeper conversation while engaging with it, or a conscious musing after having done with it! It is a book you read once to just know what happens in the end. 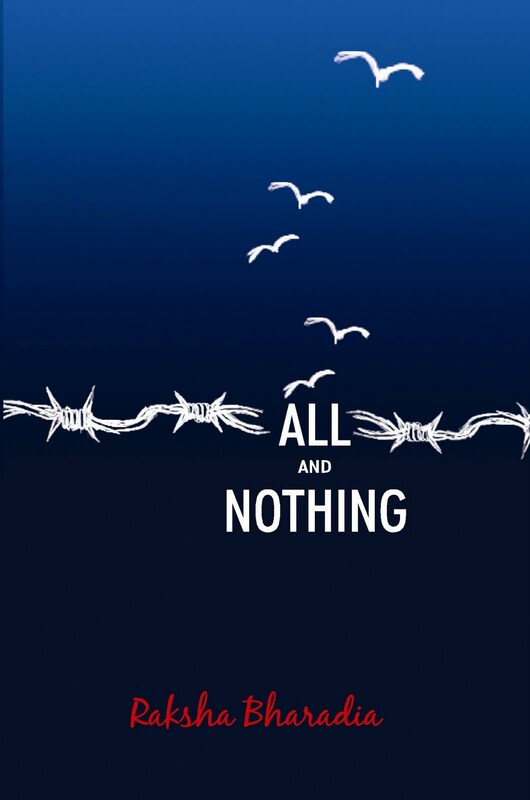 All and nothing turns out to be just that- promising all and delivering nearly nothing!